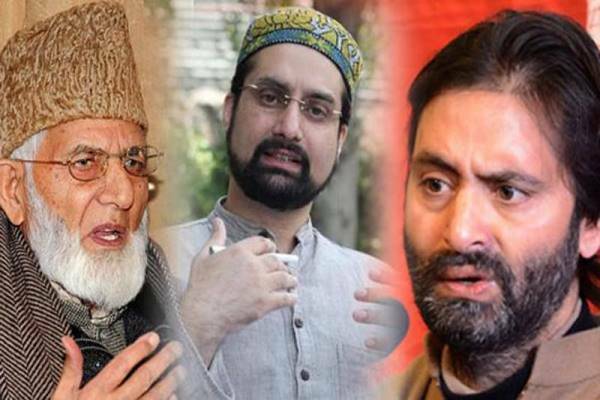 Joint Resistance Leadership termed the NIA summons to Mirwaiz Umar Farooq and Syed Ali Geelani’s son Syed Naseem Geelani and asking them to present themselves before NIA court in New Delhi on Monday, as sheer political vendetta deserving strongest condemnation. The Leadership said that NIA raids on the residences of leaders and their relatives followed by summoning them to New Delhi is a fresh attempt to build pressure on the pro-resolution leadership to push them into submission so that they stop pursing the resolution of the Kashmir issue. The leadership said that in past NIA and other agencies of GoI conducted raids on the residences of pro-resolve leaders including women leaders and later arrested many of who continue to languish in New Delhi’s Tihar jail in past almost two years without trial. The leadership said that they have time and again made it clear that they won’t come under any pressure and face the fresh onslaught of Delhi in the form of NIA and ED raids and summons with full resilience but continue to pursue the cause of truth and justice, for which lacs of Kashmiri people have offered tremendous sacrifices and continue to so. The leadership said that they have always advocated for a peaceful resolution of the issue and have nothing to do with so-called “terror funding”. These fake charges and the propaganda around it are being pursued electoral gains by those at the helm. JRL said that Seeking right to self-determination for Jammu & Kashmir is no crime for which the leadership is being persecuted. The leadership strongly denounced the arrest spree, ban on Jamaat-e-Islami, slapping of PSA on JKLF chairman Muhammad Yasin Malik and many others, harassing and intimidating the youth and elderly, vandalizing properties, injuring the youth in peaceful protests, imposing curbs and restrictions in down town, worst form of human rights violations being committed by the forces and clarified that these repressive measures were tested in the past as well but failed to yield any result and that the only way to ensure peace in the region is to resolve the Kashmir issue as per its historic perspective according to the wishes of people. The leadership hailed the support extended by the traders, transporters and other segments of the society towards leadership and thanked them and asked that normal life should be resumed on March 11. Any program will be communicated to people in the future.